The craving of shushi among world’s food eaters is increasing. 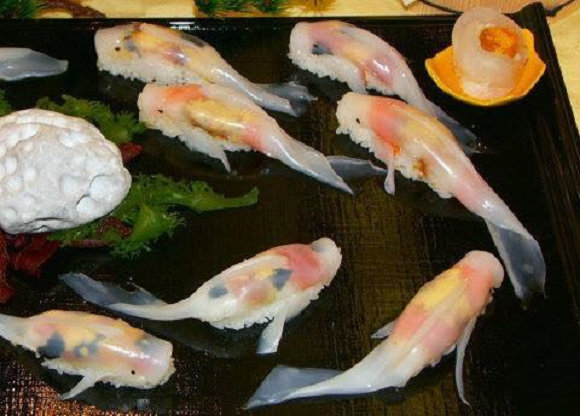 Sushi creation is becoming more fashionable in many countries. Japan Food research and sushi restaurateurs anticipate taking off in a big wave next year .2016 expects to continue handmade dishes. With so many sushi shops around Japan, locals and tourist bound to experience some unique ones. The koi-shaped sushi is officially called the Nishikigoi no Sugatazushi (“Multicolored Koi-Shaped Sushi”), and can be ordered here for 800 yen (US$6.70) per piece.